Are you performing due diligence on Electronics Distributor from Hong Kong who sells Electronic Component? 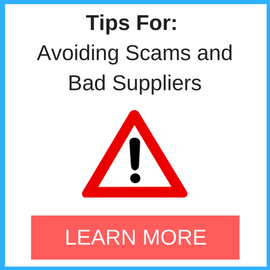 If so, read on below to read one buyers experience when trying to buy Electronic Component. You will also find some links to help you find more related information about Electronics Distributor on Supplier Blacklist and on Google as well as other bad suppliers of Electronic Component reported here on SBL. We are a French company and we are victims of the same scam as the others. We made 2 first regulations that were refused by the bank. Once the transfer has been validated, no more contact. Currently, there are ongoing actions with banks, and police services in China. We will make a visit on our next trip to China. 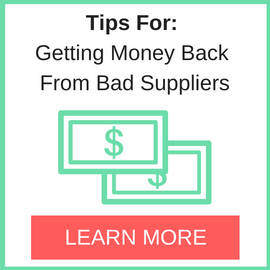 They sent proforma invoice, we paid, Electronics-Distributor.Com never ship the goods. We called +00852-30696813 many times and e-mail them several times too, but they never answer the phone and reply my emails. Don’t buy anything from this company! Address: RM1602, 16/F Two Chinachem Exchange Square, 338 King’s Road, North Point, Hong Kong. Need More Info on Electronics Distributor? 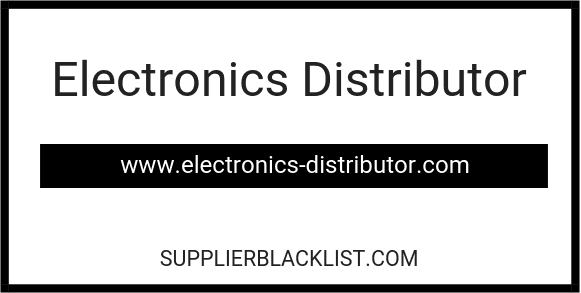 If you need more information, you can click the below links to search for more submissions about Electronics Distributor on Supplier Blacklist as well as go to the search results page on Google for more reviews online about this company.